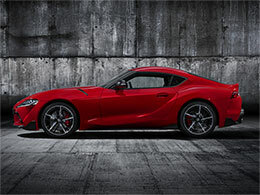 01 Toyota Supra Inspired by Toyota’s prestigious racing heritage, the new GR Supra is for those whose focus is on pure performance. Returning after a sustained absence, it’s ready to redefine the market – but move quickly as there are only 300 models available in 2019. 02 Exterior design The Toyota GR Supra was a long time in the making for good reason. Every line and curve on its aerodynamic shell has been expertly sculpted to enhance its racing nature. Its futuristic front end is characterised by a curved bonnet, large air intakes and distinctively shaped headlamps, underlined by LED daytime running strips. It sits low to the ground, and sweeping lines rise over its haunches, creating a muscular, powerful rear that’s been crafted to enhance airflow. From the side, there’s no mistaking its striking roofline and bold wheels – and with a selection of dynamic paint colours on offer, it stands out effortlessly. 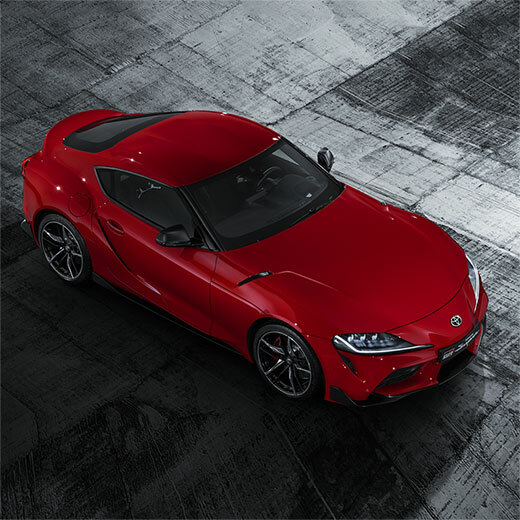 05 Safety & technology The new Toyota GR Supra may be focused on breath-taking performance, but it certainly doesn’t fall short where technology and safety features are concerned. Keeping you protected is an array of kit, such as LED adaptive headlights that provide optimum visibility, and auto-dimming mirrors, which reduce glare from vehicles behind you. 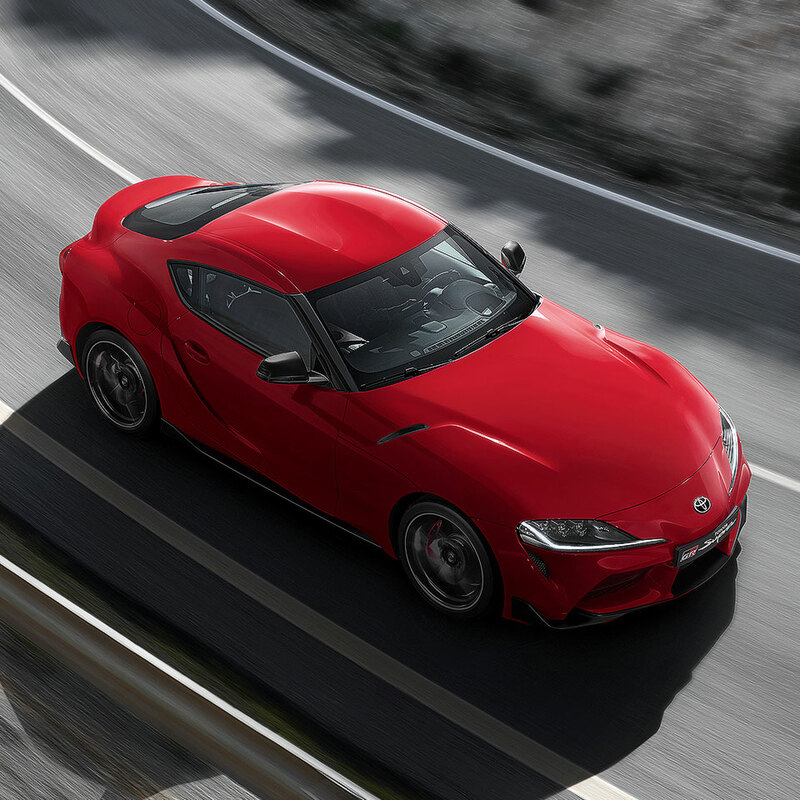 The Supra Safety + package takes things a step further, providing advanced measures such as Blind Spot Monitor, Lane Departure Alert and Rear-end Collision Alert. Should the worst happen, there’s also an E-call function, which sends your location to the emergency services. 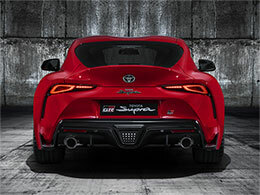 When it comes to entertainment, the Supra is extensively equipped, with a 10-speaker audio system, Bluetooth and USB connectivity and an 8.8-inch display with navigation and Supra Connect as standard. Upgrade to the Supra 3.0l Pro for a 12-speaker JBL sound system and wireless smartphone charger.